Recently, I was reading through HubSpot’s book The Sales Acceleration Formula and I found it to be incredibly insightful. For context, HubSpot is a customer relationship management tool that used data, technology, and inbound selling to go from $0 to $100 million in revenue. They’re now a public company. This is a must-read if you’re looking to build a great sales team. One particularly interesting section in the book was on Forced Hiring. 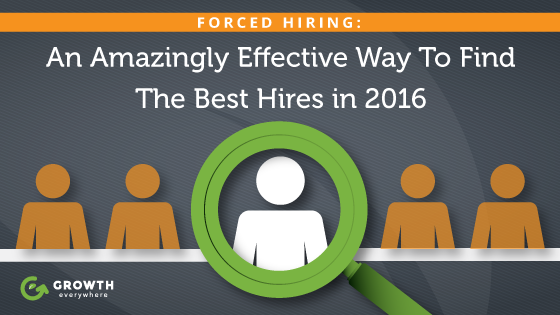 HubSpot Chief Revenue Officer Mark Roberge says that it’s by far his most effective hiring tactic and after reading it, I felt compelled to take action. The basic gist of it is going through your LinkedIn contacts and combing through their connections to find what you’re looking for. I’ve broken this down into a simple-to-follow process that you can put to use almost immediately after reading this. Who Are the Most Influential People of Your Connections? The first thing to do is to make a list of your most influential connections in LinkedIn. 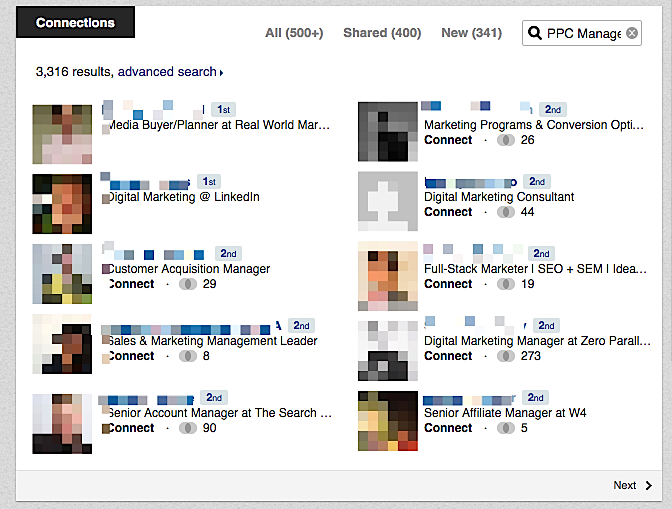 These could be people who have 500+ connections or people that you know have a big network outside of LinkedIn. Free Bonus Download: Get the ultimate guide to hiring employees – actionable advice to help you get started not found in this post! Click here to download it free. One important step is to separate relationships into two buckets: friends and acquaintances. Friends – people who you actually have a relationship with. Acquaintances – someone you may have met at a networking event or e-mailed a few times. The point of doing this is to increase efficiency when asking for a referral. Your ask will be more effective many times over. I’ll show you what I’m talking about in a bit. For me, I’m going to choose Neil Patel because I know he’s a big influencer in the digital marketing world. He would be in my ‘Friends’ bucket. For this exercise, we’re going to find paid advertising specialists. I’m feeling good about this because there’s definitely some great digital marketers connected to Neil. This part is for your ‘Friends’ bucket. If you did not make a ‘Friends’ bucket, go and add your closest friends/influencers on LinkedIn and come back to this later. This looks a bit tedious at first glance (having to click through multiple pages). Ugh, right? Pro tip: make sure you use quotations to target the keyword phrase, e.g. 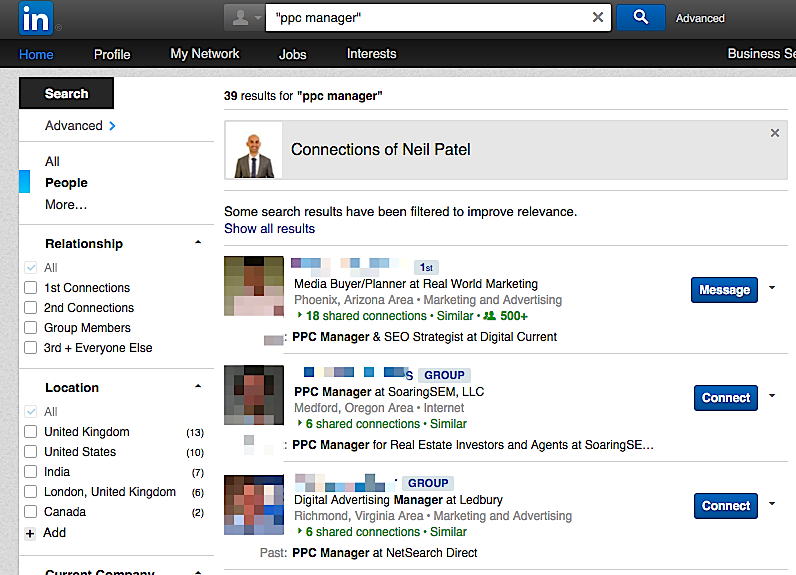 “PPC Manager”. If you don’t do this, you risk getting a lot more noise in your results. Here’s what I’m talking about. Now to really speed things up, click on the ‘advanced search’ link. Don’t want to copy all these names manually? You can get the Scraper browser extension for Google Chrome and scrape them all at once. Put your list of names into a spreadsheet for safekeeping. Rinse and repeat for all your influencers until you are satisfied. Now, onto the outreach portion. We’re all looking to save time, so here are some templates that you can swipe and deploy. First, let’s start with friends. Acquaintances can be a little trickier because, well, you don’t really have much of a relationship with them to begin with. You might be LinkedIn friends with them after talking for two minutes at a conference, but that’s about it. As a bonus: you can also use this template to reach out cold to individuals who you think might be a fit. In that scenario, you’re obviously hoping that they’ll volunteer themselves, but if they have someone else in mind, that’s not a bad consolation price. Pro tip: When e-mailing individuals, try using a tool like Outreach.io for mass reachout. Outreach.io will use templates that you set and automatically follow up with people. Here’s an introduction to Outreach.io. Pretty good traction for a small test. Granted this is a small sample size but this just goes to show you what the potential is for this tactic. When someone who takes a company from $0 to $100M and reveals their most effective hiring tactic, that person is worth listening to. This is just one of those ‘doh! why didn’t I think of that!’ tactics that slipped by me. But no matter—I’m glad I found it and I’ll be continuing to refine it over time. Use a tool like Outreach.io (or mail merge) to send out mass e-mails. Ideally Outreach.io because it can follow up automatically. 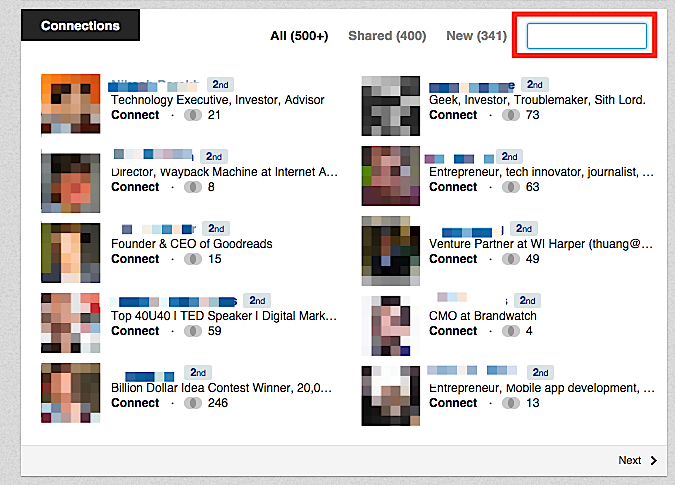 Once you have the process figured out, have an assistant compile lists of people for your ‘Friends’ reachouts. You just need to do a good job of specifying the criteria that you’re looking for.